[23”30] Kathleen doesn’t like large mastermind groups. She prefers them more intimate. 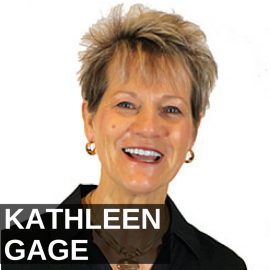 It’s my pleasure to welcome Kathleen Gage to the show. She is a very dynamic woman and she’s been in business for 20 years in terms of publishing and info marketing and teaching people how to all kinds of cool stuff. She’s the author of Power Up for Profits and she’s a no-nonsense, common sense, online marketing strategist speaker, author, and product creation specialist. She helps entrepreneurs make more money online. She’s been successfully self-employed as I mentioned for 20 years and she gives her clients the tools they need to create business that last and make a difference at the same time. She is quite a consumer of and entrepreneur in the subject of mastermind groups. We’ve only talked about that a little on the show. 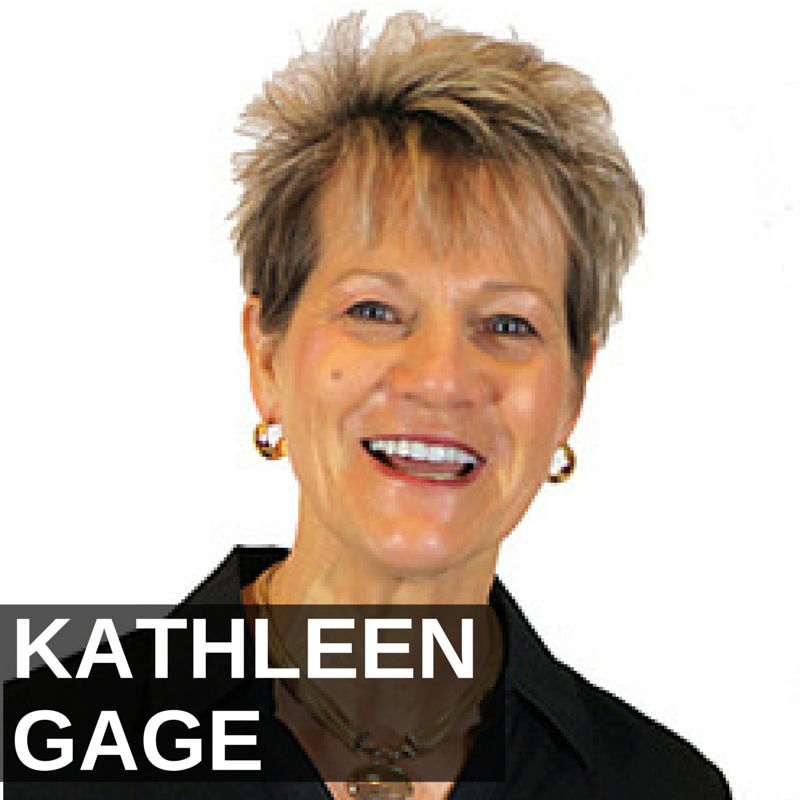 So, I really want to dive into that deeply and welcome Kathleen Gage. Kathleen, welcome, how are you? Jason, it is great to be and I’m doing wonderful. Yeah, great to have you. So, you’ve been in several mastermind groups. You could almost be, I don’t know if you know who Elmer Dills is, but when I was a kid he was like a food critic. I’m going to say, a mastermind critic, because you’ve really seen a lot of this stuff and you run your own mastermind group and have a lot of insight into this. So, I kind of wanted to take that angle on today’s show and learn from you experience. Maybe let’s talk about it from the consumer side first and then we will talk about it from the entrepreneur side and how one can start their own mastermind group, be more effective at running one, etc, what have you seen and learned from the different groups you’ve been involved with over the years? Well, one thing that I’ve really learned from the mastermind groups that I’ve been involved with is to be very conscientious about the ones you want to join and if you’re willing to make the commitment, because not only is there, in many cases, a financial commitment and if you’re getting into one where there’s no financial commitment, I don’t know how effective that’s going to be. I used to try to get into all the free stuff years ago and I found that when I was willing to put skin in the game and put money in the game, things dramatically changed. The thing you want to look for is who is the leader of the mastermind, what other entrepreneurs or people, depending on what the subject and the theme of the mastermind would be. Who else would be in that group, what’s the commitment that you have to make, what kind of travel do you have to commit to. Time you have to commit to and at what level are you going to play in the mastermind, because it’s one thing to join a mastermind; it’s just like anything else, buying a book, buying a new information product. You can buy it, but if you don’t really get the full value by putting 100% into it, then you really not going to get your money’s worth and you’re short changing the other people in the group. Many mastermind groups have a limited number of spots available. For example, in my own mastermind, we limited it to ten people and if I have ten people who have signed up and only five play full out, well, it short changes not only the five who are playing full out, but he short changes everybody in the group. So, you want to look for who’s running the group. You want to look for who’s in the group, what the investment is, and a big investment doesn’t necessarily mean it’s a great group and a big investment doesn’t necessarily mean that’s a bad investment, because some mastermind groups as you and I were chatting can be as much as $100,000 and that’s a lot of money and yet if you get a return on that investment, it’s a great investment. It’s not an expense. It’s more of an investment. Well, the interesting thing is too, over the years I’ve been in and even started some mastermind groups with friends, there was no, like, leader per-say, there was no guru, right, and you know, they all just seem to sort of fizzle out, but when someone is really responsible for leading it. When they’re getting paid to do it and when the participants have to pay to be in, pay a worthy amount of money, it’s just a lot more likely that they’re bringing their A game to this, because it matters. I mean, they could buy a car, right. Oh, I’ve had people say, you know, I’ve invested a lot in mastermind groups and I’ve had some people say, my gosh, I could never do that. It’s not that you could never do it, it’s that it’s not a priority and they might hear about how much I’ve been investing and then on the flip side they see that my business is doing good. You’re so lucky. It’s like, wait a minute, let’s connect the dots here. Luck has very little to do with it. Risk taking and taking calculated risks have everything to do with it and I remember a few years ago being involved in a mastermind group, it was a virtual group. The criteria was we all had to be making at least $100,000 in our business and this was quite a few years ago and there was a core group of us. We were all making at least $100,000. Well, then some of the energy started dropping off and people weren’t showing up for the calls and so they started letting other people in that were not at that level in their revenue. Nothing wrong with that because we all have to start somewhere, but it shifted the energy of the group and the conversations were different because there is something that happens when you’re in a group of people making $25,000 a year, $100,000, $500,000, a million. The conversations definitely shift and change. You know what’s interesting, Kathleen, is that in the old days, well, it’s not really the old days because we still have this, obviously, but you know, we have the concept of people joining a country club or a city club that’s a social club. Years ago I used to be a member of one in New Port Beach called the Pacific Club and then I was a member of a different one called the Center Club and these were like city clubs where you’d go and have meals and they do actives and one had a fitness facility and so forth and the reason you join this thing and you pay kind of an exorbitant amount of money to join it was to have access to people who are successful and to hang out with them and, of course, because it’s rather expensive, you need to be successful too and that really was a screen. It was an automatic qualifier that if, nothing else, it was just a financial qualifier and nowadays we see so many people running different mastermind groups and they are like the virtual country club, maybe you’re not playing golf or maybe you are occasionally, but there’s not a big piece of land and a golf course there that’s part of it necessarily, but it’s still the same idea of getting around these like-minded successful people, you know, what do you make of that? Do you drop that same analogy that I’m drawing? Yes. I do and it’s so interesting, Jason, because years ago I didn’t understand and I would hear that money begets money and sometimes you have to pay to play. I was really resentful about that because I wasn’t in a position yet, or so I thought, to really play at that level and one of the reasons I wasn’t at that level is I wasn’t willing to invest and so, there is something to be said about that. In 2015 I joined a new mastermind and before I said yes and before I signed the contract, and that’s one thing you really want to look at, there should be a contract on both side of the equation whether you’re running the mastermind or whether you’re joining a mastermind if you’re making a huge investment. What is the criteria for payment, what happens if you just don’t want to be a member anymore, do you still have to pay, which obviously, you should have to, but before I joined the new one, I saw with the facilitator, the host of the mastermind and grilled him for a good two hours to find out who’s going to be involved in the group, are they at a certain level, what kind of businesses do they have, because I wanted to make sure not only the financial investment, but also the time investment, then it was going to be a good use of my resources and this is something to look at when you’re making the investment into a group. Let’s say it’s a $30,000 a year mastermind group. You have that initial investment, but then you have the travel, you have the hotel, you have the food while you’re there. You have all the added expenses that go with that, so by the time you’re done with a $30,000 mastermind, it could be $50-60-70,000 that you’ve invested for the year in just the mastermind. Right, some of the mastermind groups have their tie it in with kind of a fun component and sort of a vacation component. So, you can almost allocate some of your annual vacation budget, hopefully you have one to this, so you can sort of get a double benefit to use the old expression, kill two birds with one stone concept and it’s really a lot more enriching way to go on a vacation, right, because you’re learning and you’re with like-minded people. I don’t know, I think it’s just really cool. I really enjoy the mastermind groups I am part of. I’m with you on that page of it’s a great way to create vacation opportunity for yourself and yet not everybody is in that mindset, not everybody would want to do that and so it’s really looking for the masterminds that would fit the criteria you’re looking for. Myself, any chance I have to learn and to be around other entrepreneurs that are learning and investing in themselves, I am always looking for those opportunities and yet, I know a lot of people that are not willing to make that kind of a, if you will, a sacrifices, because there are sacrifices that we make in order to build our businesses. This whole thing of you can have it all and you don’t have to work for it is a bunch of baloney. You do have to work for it. You do have to compromise, you do have to make sacrifices and yet it’s looking at what your priorities are and what the long term vision for your business and your life is. You’re right, it’s great to combine in it an environment that it truly is a vacation. One of the mastermind meetings that we went to last year with my coach with at the Fontainebleau, I think it was Miami beach. I believe it’s in Miami and J-Lo was going to be performing there shortly after our party was there and it was an exciting party environment and I thought, you know, for a short period of time, this is great. I wouldn’t want to do it all the time, but it was like a mini-vacation. Yeah, absolutely. What about the, Napoleon Hill who was sort of the, I don’t know if he was the originator of the mastermind concept. We’ll call him the grandfather of mastermind. Certainty it would be good to call him the grandfather, because he really promoted the idea in Think and Grow Rich of the mastermind group and the importance of that and he also has a great quote that goes something like and I’m going to butcher it, “A mind stretched to a new idea can never revert to its old size.” Right. I think in a mastermind group, one of the real benefits, is that, hopefully, if the leader of that group has qualified people properly and maybe, you know, made the price point high enough to be an additional qualifier, you’re really around people who are stretching your mind, right? And showing you new possibilities and, of course, we can read biographies of people who’ve done amazing things, we can go to their seminars, but there’s nothing like hanging out with them and knowing that they’re just real people to expand our mind and our possibilities, is there? Absolutely. You know there’s something to be said for making that kind of investment, especially if you’re going to be asking people to make that investment in you and one of the things I see with a lot of struggling entrepreneurs is that, again, they’re always looking for the free way into education and their experiences and then they wonder why people aren’t paying them. When I’m asking somebody to pay me $27,000 a year for my mastermind. I have no qualms about that, because I know that I made those kinds o investment and those investments have paid off and so, in order for me to feel congruent with asking for that kind of money, I sure as heck – I was going to say something else, but sure as heck have better invested that kind of money in my own business. So, it’s about an energetic exchange. It’s about congruency, it’s about integrity and the way you run your business. Yeah. Okay. Let’s talk, we kind of touched on the consumer side mainly there. Let’s talk about the mastermind leaders, say someone listening wants to start a mastermind group or say that they have one, but they want to do it better. Our audience entirely is thought leaders, okay, on a variety of subjects. What should someone do to start a mastermind group? Well, the first thing I would say to is look at the mastermind groups that you’ve been involved with and what did you like specific mastermind groups, what did you not necessarily enjoy. What would you eliminate if you could and then use that as a starting place for what you could offer to your market. I would start small and really fine tune the whole process of enrolling people, because in some cases it’s not as easy to enroll as you might think and there’s a whole process behind it. The more well known you are within the industry, the more people know, like, and trust you, the easier the enrollment becomes. The trust issue is a big one. As a matter of fact earlier today I was having a conversations wit ha gentleman who is going to a one-time mastermind that I’m doing and I had a conversations with him. I said, okay, John, here’s the deal. You need to sign up for this. I’m not going to beat around the bush. I want you there. It’s worth your investment and you know it is, so sign up and he goes, okay. So, in that case, it was easy for me to enroll him. If it was somebody didn’t know who I am, they didn’t know my track record, they had no relationship with me, it would be a much more difficult enrollment process. So, the place that you want to start is what would you like to see in a mastermind. What worked really well for you in mastermind you belong to, what didn’t work. Kathleen, I don’t even want to assume someone listening wants to start a mastermind has even been in one, necessarily. I mean, hopefully they have and that’s great, but let’s just take it cold and not everybody who started a great mastermind group was actually one. I think in fairness, everything starts someone, doesn’t it? True. It does, it does. I would say talk to some of your colleagues who have started mastermind groups and see what they’ve done that has been successful and what they would do differently and then look at all the costs that are going to be involved in putting a mastermind on. For example, if you decide to start with a pretty conventional type of mastermind where you hold it in a hotel. You rent maybe the board room. There’s a cost to that depending on the city you’re in. It could be anywhere from a few hundred a day to a few thousand a day depending on how elaborate you want to go. So, you have to look at what the expenses are in order to put that mastermind on and what it is you’re trying to accomplish by having the mastermind. What’s the experience that you want people to walk away with and to realize it does take a lot of energy to give a 100% to a good mastermind and then, again, what is the whole learning experience that you want people to have and their takeaways. I would say that would be a great starting place and then to look in your circle of influence and determine who would be a really good fit for the first offering that I have and your first offering may be a lower price point then what you’re going to offer a year or two, three years, down the road, because the more experienced you are with masterminds, the more you can command financially. So, let’s talk about pricing and not just pricing, Kathleen, but structuring the pricing. For example, I’m in one that is $12,000 a year and everybody my credit card is just on auto pay, so it’s a $1,000 a month and there are some things that are included and other things that I pay for when it comes to travel for that group. Now, another group I’m is $15,000 a year and it’s just a one time, you just pay it upfront and kind of take it on faith. The first time I did it, I thought, gosh, what if this guy, you know, what if he doesn’t deliver? What if he skips town? Yeah, well, I mean, I knew he wasn’t skipping town, because I knew a lot of people in the group. Who knows if he’ll really deliver right? So, they both been great. You know, what is the right way to price and then to structure. Do you bill monthly, quarterly, annually? Do you have one price if you make monthly payments and another price if you pay upfront all at once? How do you know how to do that? Those are great questions, Jason, and I would say it really depends how you want your cash flow to go and who you are inviting into the group. For example, in my year long program, there’s no discount for paying early. If you want to pay it off, you pay it off and that’s the end of the conversation. It’s paid off. Most people will choose to pay monthly, which makes it easier on their pocket book and it also spreads the payments out so that I know I have a recurring revenue coming in every single month. In other cases, I have been involved in masterminds, I’m in one right now that it was a pay upfront. You pay before you play kind of thing and so it really depends on the people you’re inviting into the group and it also depends on how you want to structure the revenue stream coming in. I had one a few years ago that at that time it was, I think, $5,000 for six months is what I was charging and it was all virtual. There were no in-person meetings and at that time, if you paid in full, I think I gave a 10% discount. It was a much lower price point than what my price point is now, but it made sense at that time to structure it in that way, so it really depends, again, on what you’re looking for, on what the clients you’re going to be working with are going to look for and it pretty much can be anything you want it to be. You didn’t make anybody’s decision very easily there, just so you know. Well, there’s no, there’s no one cookie cutter answer to this, Jason, it really is something based on the market, because different markets will command different amounts of money. For example, I’ll use a great example, let’s say it’s a group, a mastermind group for people who want to lose 100lb. We’ll just use that as a really kind of extreme example of a group that it may not be for business purposes, but they very much are interested in a mastermind program. They want to meet three times a year and they are willing to make the investment. What you will charge for something like that maybe incredibly different than a group of people who are seven figure entrepreneurs, who, to them, $10,000, I’ll write the check right now, makes no big deal. What about meetings? I mean, of course, this is different with every group too. Say, for example, in your group, what do you do? Is it a two day meeting? Is it a three day meeting? What do you at the meetings? Are you the only speaker? Do you have guest speakers? Do you have all the participants share stuff? What’s your advice there? That’s a great question and at my masterminds what I have found works really well are either a one day mastermind leading into a live event where the people in the mastermind are actually participating in the back-end process of putting the event on. So, they’re getting hands on experience. For a three day event where we have a one day mastermind meeting. I get them all prepared for the three day meeting. They help with the three day meeting, which we can have a 100 to 150 people at the three event, I should say, not meeting. So, really it’s a four day experience for them, but they’re getting a lot of hands-on experience. I’ve tried two day masterminds. They are okay, but if you’re expecting people to travel quite a distance, that third day can make all the difference in the world and usually it’s a three quarter day rather than a full day, so two and three quarters day for me tends to work really well. What I have found is taking them out and having off-site activities tends to work really well at one of the recent masterminds I had here in Eugene. All my folks came into Eugene. We actually took them out to a play, we took them out to a really nice dinner and that was after we had been working all day and it just breaks things up and it also connects people at a deeper level. One mastermind meeting that I went to where I was the participant, we did a live stream where all of the people in the group were invited to be apart of this live stream and our mentor, very skilled at live stream, she was like the queen of live streams, quite actually and she invited all of us to be apart of it. It was quite interesting experience because the whole mastermind was the actual experience at preparing for the live stream and it was really interesting to watch emotions come up, to watch our fears come up, to watch our excitement come up, and to go through the whole process in a matter of three days that most people would take a good year to learn how to do. In terms of like, you know, format for the meeting. I mean, you do the broad room and so you have a very small mastermind group, but really it’s the size Napoleon Hill recommended and, by the way, I heard an interesting joke about this. I was in Israel with my church and this was several years ago and the tour guide said let’s get 12 people over there and forget about the metric system. Jesus had 12 apostles not 10. So, you do 10 and so you’re on the metric system in yours. You know, when you do that, it’s a pretty small group. I mean, some of these masterminds are big. They’re 100 people, they’re 35 people, all different sizes. Tell me what your thinking was about that. I actually belong to one with a Brendon Burchard a few years ago and I think the investment was $10,000 for the year. So, it wasn’t that huge of an investment. I bet it’s more today, knowing him. It’s considerably more and I really loved his teachings, but what I didn’t like was going to what was called a mastermind meeting and getting there and there were 80 to 100 people there. That was more like a workshop or a seminar. So, for me, when I’m in a mastermind group, I want an intimate group. I want people that I feel much more connected to than having a 100 people in the room, because that’s why I got to conferences and seminars for. Well, I would agree with you. However, I just will say one distinction there. One of the mastermind that I am involved in is broken into three groups of 35 people each and we just the annual meeting where everybody was there. So, there were easily a 150 people in that room, I’m sure. Maybe 200. Because people brought guests and so forth. One of the things about that is that the thing that I think makes it a mastermind group, even if it’s a large number of people, is the idea that it’s not really being lead to much. In other words, it’s not guru, it’s not a speaker, the members of the group are speaking and the other members are critiquing or giving advice on or suggesting things about what they say. So, I mean, is that reasonable saying that you could be larger, but it’s sort of a participation issue that makes it a mastermind. Well, it’s really a matter of personal choice, Jason, and there’s so much available out there that there’s no right answer and that’s why earlier you asked a question, you said now people are more confused than when we started and the reality is that it is a personal choice. It’s what we each individually are looking for and so I would say for some people that could work great and it obviously does for the person who has created that, for other people it wouldn’t too well and with this new group that I just went into in 2015, that was one of the criteria. I wanted it to be a small group, just for my own personal needs, because I go to a lot of conferences, I speak at a lot of conferences. I’m involved in a lot of larger groups and so for certain needs in my business and personally, I prefer a smaller group. So, again, it’s a really personal choice that people will make and that’s why I encourage people before you jump into something, before you make an impulse buy on a group of people that you’re going to be spending a year with, do your due diligence. Do your home work. Talk to other people who have been in the group. Before I joined my last mentor’s group, I actually talked to about half a dozen people who had been in her group for a few years and I wanted to find out, is she the real deal, does she deliver like people are saying she does, what have your results have been, so I really did my homework before putting the money down on the table. Kathleen, give out your website and tell people where they can find out more. Absolutely. Thank you for asking, Jason. It’s PowerUpForProfits.com and on that site you’ll find a lot of great information about me and there’s some great gifts that we have to help you build your business. I have to say, you sent me your book a few days ago so I could kind of check it out before the show and your book, Power Up for Profits is high content. I just love to see that Kathleen, because in today’s word there’s so much junk out there and stuff that is just very low on content. So, this is a thick, heavy book with real stuff in it, and you just cover a wide variety of important marketing things and you really cover them well, so I compliment you on that. Thank you for being on the show, Kathleen. Thank you. My pleasure, Jason. Thank you.